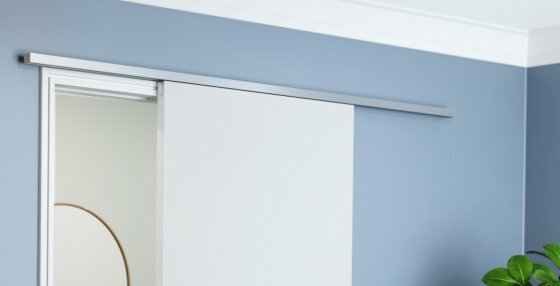 Zero Clearance 60 is a top hung, aluminium track system for straight sliding doors up to 60kg in either single or bi-parting applications. 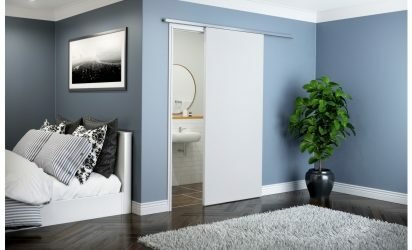 The easy to install hanger plates are discreetly concealed inside the top of the door meaning there is minimal clearance between panel and track which makes it a stylish solution for residential and commercial installations. Cavity Clearance 60 is specially designed for pocket doors but both systems are supplied with clip stops or Brio’s 60kg soft close accessory. Zero Clearance sets also offer a face fix option where the track is punched for discreet fixing and supplied with an aluminium fascia. The fascia is available in a range of powder coat colours to help hardware blend in with surroundings or make a colourful statement. Heavier applications can use Brio’s Zero Clearance 80 system.